Presented by Are We Delicious? 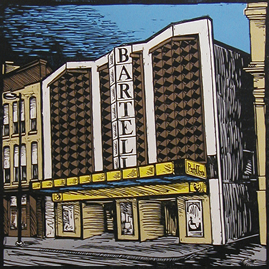 Are We Delicious?, a Madison performance ensemble best known for creating and bringing brand new theatrical productions to audiences in only 7 days, is taking on The Bard. Their newest collaboration explores the impact of dementia on an elderly man and his family in a musical version of the classic Shakespearean tragedy of King Lear with original songs inspired by the music of The Smiths and The Cure, as well as dances created and performed by Kanopy Dance. In this imaginative retelling, a family in the 1980s deals with the declining health of their father, who hallucinates that he and his family are characters in a classic play. As his daughters discuss the best way to care for him, Lear misinterprets his children’s intentions, affections and end-of-life decisions as the murderous and cruel actions of Goneril and Regan in the original Shakespearean tragedy. 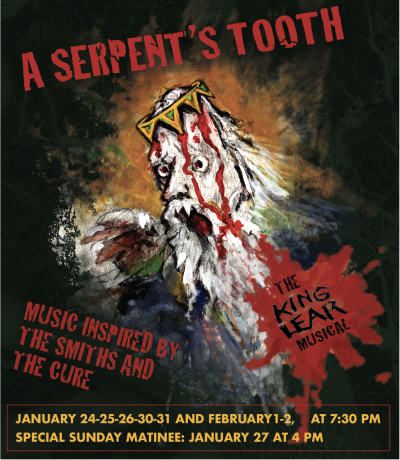 A Serpent’s Tooth: The King Lear Musical will be performed on the Drury Stage.